2014 is well on its way as we move into month 2 of the year! After weeks of reading up on what will be the top home décor trends in 2014, here is a concise, condensed version of the top 3 trends gathered from different sites and blogs around the web. We’ve picked out only those which are echoed by over and over by the many content sources out there! Yes I know Pantone colour of the year is Radiant Orchid, but strangely I found that blue is more spoke about as an overall colour trend for home décor. Even some online home décor retailers has offered something blue or uses blue as an overall theme colour of their what’s new section. In this article – Ask a Designer: 2014 decor trends (link: http://www.philly.com/philly/home/Ask_a_Designer_2014_decor_trends_.html) the designer Brian Patrick Flynn, has subtlety repeated the recommendation to use blue. Metals are making it back this year. 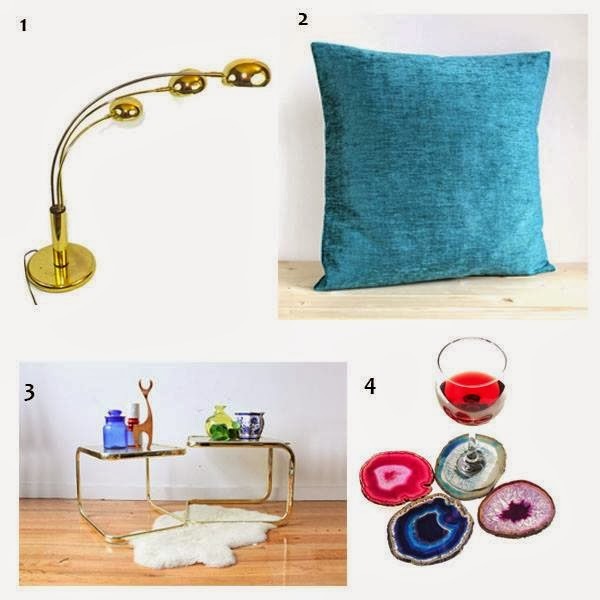 May it be brass, silver or gold it is making its way into retailers’ cataloques and blog pictures in forms of lighting, side tables and frames. Even metallic printed fabrics are becoming a hit!